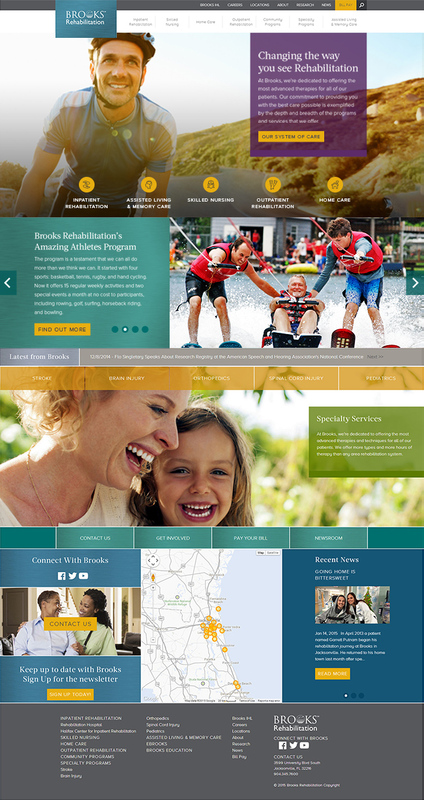 Brooks Rehabilitation needed a web experience that complimented their innovative culture and provided healthcare providers, patients and their loved ones with information about their system of care. Along with the redesign, Station Four partnered with the marketing team to restructure Brooks’ content-driven site to enhance its usability for visitors. 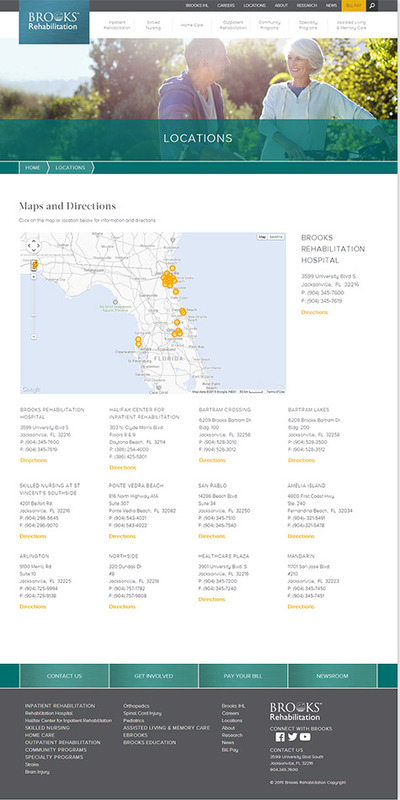 With their expanded system of care, Brooks had a lot of great information to show site visitors, but very little of it was organized in a way that was user-friendly. Our team worked with Brooks to give the new site a structure that helps users digest the information they came to find. We kept usability front-and-center when it came to each aspect of the site. 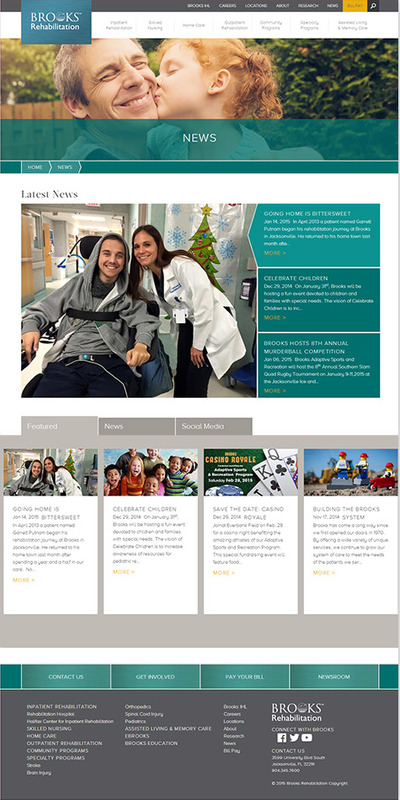 Whether it was designing a locations page to show nearby centers and their specialized system of care, or creating a “Newsroom” section designed to act similar to a news site, we wanted everything to feel familiar to visitors. The health industry as a whole has a bad rap for being corporate and standoffish to some degree. Over the past several years, Brooks worked to change this by providing their patients and their families with direct access to their team – through social media. Their desire to connect with people online is a defining factor, so incorporating it into the site’s structure was an important part of this redesign.